Let’s start by stating clearly that there is nothing wrong with slideshows. We even use one on our own homepage. But … if you are using a slideshow because everyone else has one, there’s a chance it’s not working for you as well as it should be. Here’s a closer look at slideshows and why yours might not be working—along with what you can do about that. Why Do So Many Websites Have Slideshows? Slideshows have become the standard in web design. When you start to see something being used on so many other websites, it’s easy to assume that it’s being used because it works. As a result, people will often want to have one on their company website to make sure they are doing what they consider to be the ‘right’ thing. But that might not be the case. While it may work for some sites, it’s unlikely to work on every site. Often, businesses will want to use a slideshow to cram in lots of content into their homepage without taking up much space. This is often because they cannot decide which message to focus on, and a slideshow becomes a useful way to get everything in. And, of course, slideshows look good. A slideshow can be appealing to site visitors and can add an element of sophistication to your website—if you use it properly. They take up valuable real estate—This is the most important part of the whole site, the place where you encourage visitors to take a specific action, such as contacting you or downloading your white paper. Too many messages can become confusing. Users ignore them—The slides can become a blind spot on the website. As the owner, you wonder how anyone can miss it, but actually many users will ignore it completely. It’s a distraction—Users’ eyes are drawn to movement, and having a slide constantly moving on the site could be a distraction. This could mean the user pays less attention to the important content on the site. Low conversion rates—If you use multiple slides to present multiple offers, this can lead to decision fatigue, affecting conversions. Slow to load—Slideshows can be slow to load, especially on mobile devices, leading to a poor user experience. Of course, these are just some potential problems with slideshows. There is very little solid evidence that suggests slideshows are never a good idea. So if you really want to use a slideshow, go ahead. But if so, here are some techniques for making the most of your slideshow. If you decide to go ahead with a slideshow, there are a few things you can do to make it more effective. First, ensure your slideshow is fast to load, both on the desktop and mobile versions of your site. Don’t make your users wait around more than they have to or they’ll only become frustrated. Next, limit the number of slides to three or four. Don’t be tempted to cram in six or seven slides—that’s too much. It will only confuse users, and you don’t need that much information anyway. Make the first slide the best slide. This is the one that users will notice as soon as they land on your page, and they are more likely to pay attention to this slide before they scroll down. This is what we do by highlighting our Flex Blocks. Don’t rotate the slides too quickly. You want the user to be given the chance to read the information before the slide changes. You might decide not to auto-rotate them at all. If you do use auto-rotate, make sure you stop the slides once a user engages with a slide (this is another thing we do in our slideshow). Don’t try and take control away from them because that will only frustrate them. Finally, use clear navigation buttons. This could consist of highlighted bullets that show which slide you are on, and you could go further and add controls like pause, next, etc. Make sure these work on mobile as well. Use a standalone image where your slideshow would go. Choose one that best represents your brand and that has a clear message to avoid confusing users. You could also use a CTA and a button to direct users to your white paper or to your contact page. Make it obvious what the user should do so they are less likely to ignore it. Create various images and change them up throughout the year, perhaps to showcase new special offers, your latest white paper, or seasonal products. Add multiple images and multiple CTAs, ensuring that each image links to different areas of your site. Use a video. People like watching videos (as long as you don’t use auto-play), so consider adding a quick, simple explainer video featuring your CEO or an animation. Create unique landing pages. This is not so much an alternative because you will still have a dedicated homepage. But if you have lots of different messages for different types of visitors, landing pages can work well and increase conversion rates. 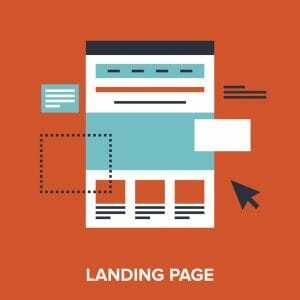 For example, set up different landing pages when you direct users to your site from ads, emails, social media, etc. Slideshows can be effective, so don’t automatically assume that you should not use one. This is especially true if the main aim of your website is branding. But if you do use a slideshow, make sure you stick to the best practices. And, as we always say, don’t forget to test. You should definitely consider testing a slide-less version of your site to see which gets the best results because that’s the only way to know for sure.